India’s Electricity is set to see a huge boom as the 8-9% economic growth rates require massive amounts of energy.India is planning to nearly treble its electricity capacity to almost 450 GW by 2020 from around 160 GW now which means a yearly addition of nearly 23 GW in the next decade.Currently India’s Electricity comes mostly from Coal and Hydro Based Energy.Almost 50% of Energy Requirements and 53% of the Electricity is generated from Coal.Despite Coal being the the Dirtiest Form of Energy,India has got little choice in the matter.Most of India’s upcoming Electricity Plants are based on Coal.Hydro Energy is generated mostly from India’s Northern Himalayan States.Renewable Energy forms only 7.7% of the Capacity with around 11 GW of the 16 GW from Wind Energy.Nuclear Energy is around 3% of the total capacity at around 4.5 GW.Here are the list of the major power utilities in the country which is currently dominated by the state run PSUs.However the next decade should see the rise of private electricity companies. 1) NTPC with around 33 GW of power generation capacity is India’s largest power utility by far and is planning to more than double that capacity to 75 GW by 2017 .The company mainly depends on coal and gas based power but is diversifying into gas,hydel,nuclear and solar power as well.It is one of the best run state owned companies and has executed well in building as well as running old plants.The company is one of the most valuable companies in terms of market cap as well wit ha market cap of nearly $35 billion. 2) NHPC – State owned like NTPC,this hydro power focused power company came out with an IPO with much fanfare.However slow implementation and lower profits have resulted in the stock prices declining a lot.However the company aims to double its electricity generation of 5 GW in the next 5 years or so by focusing on hydel generation in the Northern states of India. 3) Tata Power – The largest private utility in India has ambitious plans to grow like the other private sector companies in India.The company has interests in electricity distribution as well.Tata Power has a presence in thermal, hydro, solar and wind areas of power generation, transmission and retail with a capacity of nearly 3 GW.Tata Power is building numerous power plants and transmission projects in JV. 4) Reliance Power – Reliance Power part of the ADAG Group came out with the biggest IPO of its time before the Lehman crisis.The company part of the ADAG Group has the most ambitious expansion plans in the country.The company is raising huge amounts of capital from Chinese banks and placed the largest power equipment order with Dongfang Electric.The company is currently constructing 3 4000 MW projects and has plans of building 35 GW capacity with a mix of hydel,gas and coal based plants.The company also win a solar thermal project in JNNSM bidding. 5) Adani Power – Power Limited is part of Adani Group with capacity of 1980MW.The company currently operates India’s only super-critical power plant in Gujarat. The company is currently implementing 16500 MW at different stages of construction..The company is currently implementing thermal projects of 3300MW at Maharastra and 1320MW at Rajasthan.The Adani Group has bought coal mines outside the country and with its port and shipping companies forms an integrated coal to power story. 8) SJVN – SJVN is the second largest hydel power company in India which is a JV between the Indian government and the Himachal Pradesh state.The company owns the largest hydro plant in India the Nathpa Jhakri Hydroelectric 1500 MW Power Project .The company is trying to expand like NHPC but has been facing execution problems. 9) Nuclear Power Corporation of India( NPCIL) – Another state owned company,NPCIL is focused on generating Nuclear Power.The company operates around 4.5 GW of Nuclear Capacity in 6 locations.The company is expected to expand hugely in the future with India planning to add around 2 GW of Nuclear Power over the next decade. 10) CLP Power – CLP India Private Ltd. is a wholly owned subsidiary of CLP Holdings, a leading investor-operator in the Asia Pacific energy sector.CLP is also the largest foreign investor in Wind Power in India with over 450MW of wind power projects which are spread across 5 states. This apart, it is also in the process of developing a 1320MW coal firedpower plant located at Jhajjar, Haryana, which is due for commissioning in Dec 2011.It also owns a gas power plant in Gujarat. 12) Torrent Power – Like Adani Power,it is a Gujarat based company with interest in both transmission and generation.Torrent has a generation capacity of 1647.5 MW and distributes power in Ahmedabad, Gandhinagar, Surat, Bhiwandi and Agra.It is expanding in Gujarat and Uttar Pradesh. Other Private Groups that are setting up big power capacities are JSW Energy,Sterlite Energy,GVK Energy,Moser Baer,Welspun Energy,Essar Energy,GVK Power.There are also state owned and run Power Generation Companies Punjat State Power,Haryana Power Generation,Gujarat State Energy etc.Orient Green Power,Greenko are green focused utilities with big expansion plans. 19 Responses so far | Have Your Say! I CAN OFFER YOUR COMPANY GOOD AND RELIABLE SERVICE ON SEA & AIR FREIGHT (IMPORT AND EXPORTS) CLEARING AND FORWARDING / CUSTOMS CLEARANCE / LOGISTICS / WARE HOUSING /PICK UP AND DELIVERY TRUCKING SERVICE IN NIGERIA. PLEASE DO GET BACK TO ME IF I CAN BE AT SERVICE TO YOU,AM VERY FLEXIBLE AND NEGOTIABLE ON MY CHARGES AND READY TO KEEP TO TIME AT YOUR SERVICE. GOOD NEWS FOR WORLD ! We are looking for world class supports ! We like to Introduce and propose continues electricity power produce with Human Resource Renewable New Clean Permanent Energy, which is Harm Free, Fuel Free, Fire Free, Natural power resource free, Pollution Free multiple power generate system generator install, power produce and supply to below sectors for multiple benefits and profits. We offer with competitive price to Private Electricity Power Producers Industry and Government Electricity Power Authorities, we will ready to install pollution free generator power produce and continues supply; minimum 1mw. maximum requirements of mw. New, permanent, clean energy generator system installation, around the clock with our team to operate, power produce and supply (to electricity power produce-business industrial companies) at your suitable site. Also we are inviting joint venture projects in selected countries like U.K. Netherlands, Dubai-UAE, Kingdom of Bahrain, Oman, Ghana, Kenya, Tanzania, Germany, Singapore, Thailand and Cambodia. Corporate Office: – P. O. Box No. 16, Sivaganga – 630 561, TamilNadu – INDIA. Mesy India is the only company in Asia to conduct in-situ stress and permeability measurement in any size of bore hole depth up to 2000m by hydro fracturing technology. We are well equipped with modern Wireline standalone set up to conduct such tests. We take opportunity to inform you that we have also started now Bore Hole Logging Service by using Acoustic Televiewer. The capacity of our equipment is test bore hole up to the depth of 1000m of any diameter size. Our equipment has wide applications in hydrogeology, mining, geotechnical and environmental site investigations. Please contact us if you have any such requirement now or in future. concern Department or forum to finalize the following unique and entire world Global developing idea for its further implementations in the current ongoing and next coming future Hydroelectric & Water projects as soon as possible. Please Debates in future Energy Events / Forums / Exhibitions / Seminars / Conferences about subject idea for solving our entire World Energy Crisis as soon as possible. I would like to introduce you to Infraline Energy Research and Technology as, India’s premier and most trusted information, research and advisory company in the energy sector. We prepare Market research reports on Power , coal ,oil & gas and upstream . Delta Placement Consultants, website http://www.deltaplacements.com is a staffing company based at Pune with footprints all across India. We are looking at going strongly in to providing our staffing services and our expertise in the sector to major Power Generation and infrstructure companies. We would like all companies to look at our profile and give us an opportunity to work on all their Middle Level and Senior Level manpower requirements. They would find us a class apart in our sourcing and profile selection and the whole gamut of innovative processes to present selcted profiles so as to be a consultant on their entire recruitment process rather then being a mere resume pusher. Quality in all that we do is the halmark of our operations. Look forward to be contacted and be understood as one being different. Hello everyone,Energy Exemplar is an Adelaide (Australia) based leading developer of power market simulation software with a customer base spanning the globe. Currently,we are planning to expand our business to India. Energy Exemplar is a leader in the technology of power market modelling. Energy Exemplar’s PLEXOS® for Power Systems (PLEXOS®) is used by independent system operators, regulators, generation companies, transmission companies, consultants and analysts across every region of the world for power market modelling, planning, and portfolio optimization. PLEXOS® is a truly next-generation power market simulator with solution methods based on linear, mixed integer and quadratic optimization. We have capapcity of 1300 MVA /Per annum. 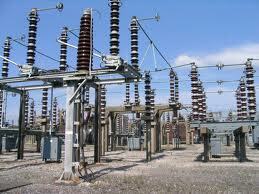 Currently we are dealing upto 10 MVA 33 Kv class in Oil type & dry type. We have also special range of transformers like, converter duty, arc furnace, induction furnace etc. You can visit our website:- http://www.raychemrpg.com.